Private armies for hire are becoming popular on all sides. For government, this is the greatest invention since taxes – no social benefits. Mercenaries fighting for the USA get about $141,000 a year. Even in Ukraine there are a number of mercenaries from Europe and other countries is on the rise. They fight on the side of Kiev against the Russian rebels in the east. They are often Chechens who just hate Russians, but they are also appearing from France, Poland, Spain, Italy, Denmark and the Baltic States. Who finances their use is unclear since most seem to be unpaid. 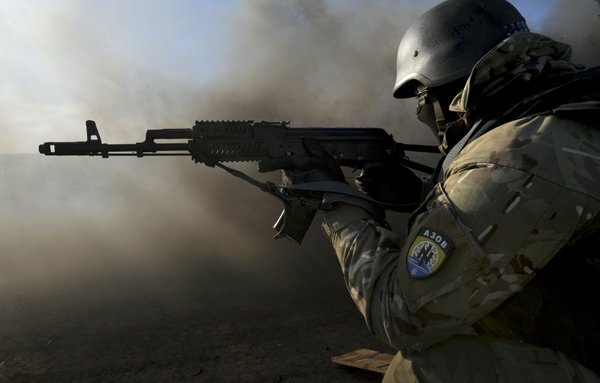 The generally fight in the Ukrainian in the right-wing battalion Azov (pictured above). Many are there to prevent the revival of the Soviet Union as they see it.